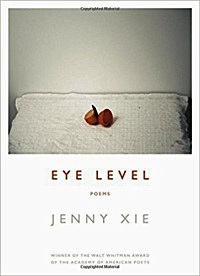 Jenny Xie’s award-winning debut, Eye Level, takes us far and near, to Phnom Penh, Corfu, Hanoi, New York, and elsewhere, as we travel closer and closer to the acutely felt solitude that centers this searching, moving collection. Animated by a restless inner questioning, these poems meditate on the forces that moor the self and set it in motion, from immigration to travel to estranging losses and departures. The sensual worlds here―colors, smells, tastes, and changing landscapes―bring to life questions about the self as seer and the self as seen. “For years now, I’ve been using the wrong palette. Each year with its itchy blue, as the bruise of solitude reaches its expiration date. Planes and buses, guesthouse to guesthouse. 9 p.m., Hanoi’s Old Quarter: duck porridge and plum wine.